The Canadian writer chronicles her 40th year in her memoir No One Tells You This. Glynnis MacNicol isn't married, doesn't have children and yes — as she has repeated many times to disbelieving well-wishers — she's very happy. 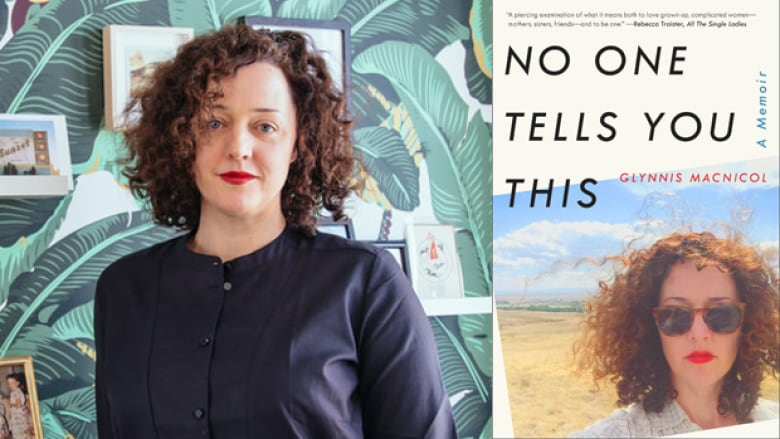 The Canadian, who made her career in New York writing online for publications like Elle, The New York Times and The Guardian, chronicles the year she turned 40 in her new memoir No One Tells You This. Below, MacNicol, co-founder of TheLi.st, describes how she eschewed the marriage plot and came up with No One Tells You This. "We've been taught to value ourselves with these markers [of marriage and children]. Who created these markers and their motivation in creating them I think is an important discussion to have. Separately from that, we need ritual to mark our lives in a very basic way. One of the challenges of my life right now is figuring out how to mark and value my own life without any sort of established celebrations around it, which I think is one of the things that single women really have a difficult time coping with. We don't see ourselves reflected back. There is no wedding ceremony. There's no baby. There are no markers past a certain age. So outside the the usual narrative, you're living without a blueprint and that can be exciting, but it's really terrifying sometimes too." "It seems tough for people to grasp that I could possibly be happy. The conversations that I capture in the book along the lines of, 'People are just being nice to you because they feel sorry for you' or 'Don't worry. You're not running out of time' — all of these things happened multiple times. Instead of writing them over and over and over again, which is not interesting for anybody, I tried to pick one moment that reflected them in detail. "There were some parts of the book where I worried, 'Am I exaggerating what I'm experiencing? Is this really such a big deal?' I hate that I do that. What I've found is that so many women experience the exact same thing. There's an element of recognition in these small moments and just by writing them down you give them credence. I think we're so conditioned to not push back against all of those little comments that when someone's like, 'Wait a second. This is not cool,' it's a relief for everyone." "At some point you go through so many drafts and the writer in you kicks in — that muscle develops so you begin to think of yourself almost as a character in a story. I disassociate. What I'm experiencing now, which is very strange, is that I've exorcised all of my emotions over that year. They now exist in the book. People are reading the book for the first time and they're talking to me as if I'm experiencing it now, which I am not. I'm past it and I got it all out of my system. I put it out there and now I look back and I almost see, even with my face on the cover, it's my story but it also exists outside of me. It's now out in the world. I had to get over my fear of humiliation pretty quickly, otherwise why would anybody want to read this book?" Glynnis MacNicol's comments have been edited and condensed.